It’s mere days to MarsCon 2012, and I don’t have anything new to report other than the Fund Raiser has reached its goal, and we now have 7 volunteers for Table 27. Thank you so much to everyone who bought the Fund Raiser album and who volunteered. Here’s a list of reminders with links, so you can all properly prepare for rocking the apocalypse! Music Guests of Honor THE CONSORTIUM OF GENIUS! Also performing: SEAMONKEY, THE BOOBLES, TV’S KYLE, DINO-MIKE, THE GREAT LUKE SKI, DEVO SPICE, WORM QUARTET, POWER SALAD, CIRQUE DU SO WHAT?, THE GOTHSICLES, and POSSIBLE OSCAR! – Dementia Smackdown Wrestling: MarsCon 2012 Battle Royal! 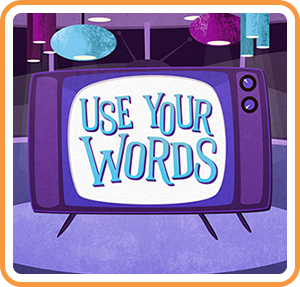 – Dementia Fan Showcase, hosted by DJ Particle! $30 for 3 CD set w/ MP3 download, or $20 for MP3 download only. You have to order it before the con if you want to wear it at the con. Please share it with your friends on Facebook, Twitter, etc. Pre-registration for a 3-Day badge to MarsCon is just $45.00 thru Jan. 31st, 2012. After that it will cost $60.00 at the door. Single day badges are also available. You can purchase registrations and learn about the rest of the con at http://www.MarsCon.org . Spaff has regretfully informed me that he’ll be unable to make it to MarsCon this year. You all can go back to believing that he does in fact not actually exist, and that he is in reality a “Mr. Hyde” style persona of Steve Goodie’s. With this year’s theme being “Rocking The Apocalypse”, I drew all of the Dementia Track participants representing or being menaced by various types of apocalypses (except for the COG who are seemingly causing them). 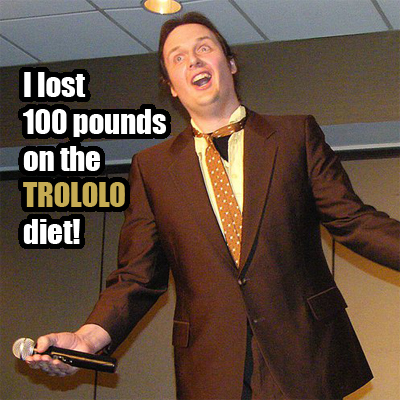 You can see the image here: http://tinyurl.com/APOCimage . You can order the t-shirt at http://dementiaradio.spreadshirt.com . This t-shirt won’t be for sale at the con itself, you have to order it ahead of time. None of the funds from this shirt go to anyone other than Spreadshirt. 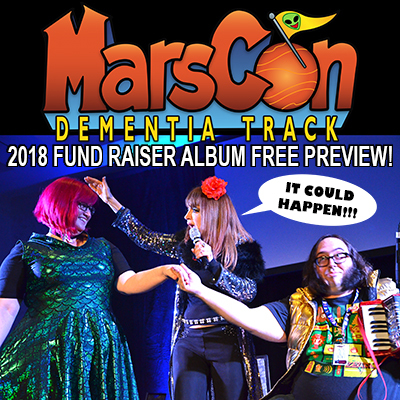 However if you would like to spend some money to help out the MarsCon 2012 Dementia Track Fund Raiser, you can pick up this year’s (and previous year’s) albums at http://marscondementia.com/fundraiser-shop . You can hear a free 33 minute preview of this year’s collection here: http://tinyurl.com/MarsCon12PREVIEW . I used the Dementia Track art I created this year and some familiar movie audio to make a 60-Second ad for YouTube. You can watch it here: http://www.youtube.com/watch?v=ghFlLD17Yx4 Please share it with your friends on Facebook, Twitter, etc. Upon Devo Spice’s suggestion, I made a 60 second audio ad for DJs and podcasters to use to promote MarsCon. You can get that here: http://tinyurl.com/MarsCon12ad60SEC . If you’re still interested in the longer ones, you can get the 3.5 min, one here: http://tinyurl.com/MarsCon12adSHORT , and the 7.5 min. one here: http://tinyurl.com/MarsCon12adLONG . Any airplay you’re willing to give them would be greatly appreciated. Thanks. Our huge double-wide merch table for the acts of the MarsCon Dementia Track is returning once again, and we need people to staff it. In exchange for your services, you’ll get a free badge into MarsCon for the weekend. Table 27 is just outside the doors to the Main Stage room, and will be open during the Dementia Track concerts, on Friday from 8:30 pm to 12:30 am, Saturday from 1:30 pm to 6:30 pm, and on Sunday from 12:30 pm to 4:30 pm. 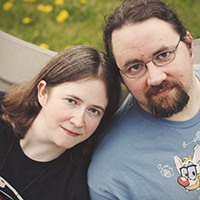 We will do our best to make sure our volunteers don’t miss out on anything at MarsCon they really want to see or do. We have 4 volunteerS already, and we’re looking for at least 2 more volunteers to help run the table during those times. Our goal is to have 2 or 3 people behind the table at all times when it is open, so if we have at least 6 volunteers, that should be easy to figure out. So if you’re willing to give us some of your time at MarsCon to help the Dementia Track in exchange for a free weekend badge, email me at thegreatlukeski@gmail.com . Thanks. 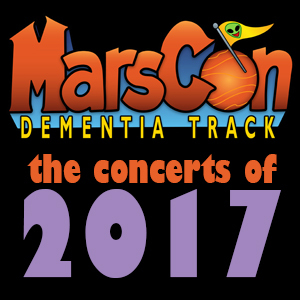 I have created and posted a 33-minute long free preview of the MarsCon 2012 Dementia Track Fund Raiser album. It features live performances of 8 songs from MarsCon 2011 featuring Possible Oscar, Worm Quartet, Steve Goodie, Nuclear Bubble Wrap, Devo Spice, Gifted Gear, Insane Ian, and Carrie Dahlby. The preview also serves as an ad for MarsCon 2012, with info on registration and more. You can listen to it on the podcast feed/page for “Bad Rapport” at http://badrapport.com, or you can get the MP3 directly from this link: http://tinyurl.com/MarsCon12PREVIEW . Please give it a listen, and please share the link online with anyone you think might be interested in attending MarsCon or buying the Fund Raiser album. Remember, you can purchase the album for $30 (3-CD set w/ MP3s) or $20 (MP3s) In the Fundraiser Shop. Thanks. I’ve put together an ad for MarsCon 2012, the Dementia Track, and the Fund Raiser for D.J.s and podcasters to play on their shows. The short version is about 3:30, and can be found here: http://tinyurl.com/MarsCon12adSHORT . The long version is just under 8 minutes, and can be found here: http://tinyurl.com/MarsCon12adLONG . Any airplay you’re willing to give them would be greatly appreciated. Thanks. TABLE 27 needs volunteers, get a free badge for volunteering! Contact us ASAP. And a reminder, pre-reg for $45 weekend badge ends 1/31/2012. After that it will cost $60 at the door. Get yours today at http://www.marscon.com (but again, if you’d like a free badge, you could always be a Table 27 volunteer). This year’s Main Stage line-up! I’ve updated the Dementia Track Schedule; We’re looking for volunteers for Table 27, earn a free weekend MarsCon 2012 badge for helping, see the updated Other Events page for details; And in the Fundraiser Shop we’ve added the MARSCON 2012 DEMENTIA TRACK FUND RAISER 3-CD ALBUM, available as an MP3 download for $20, or as a 3-CD set with instant MP3 download for $30! 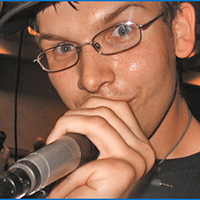 It features 4 hours worth of the best live concert moments from MarsCon 2011! Check out the track list, and then order yours now! 7. He’s Good – Cirque du So What? 8. T&A VHS Rental-Rama – Cirque du So What? 9. A Precious Moment – Cirque du So What? 13. Show up on Sunday, dammit! 25. Austin, you’re my hero! Order yours in the Fundraiser Shop right now!